Second, but also as important, the organizers would also like to thank the delegates who have attended the event, the speakers for their great contribution to the contents and all our media partners for helping spread the important news of the event. With their help, CEEGC has become the most prestigious boutique gaming event which gather C-level executives every year to network and gather information about the Central and Eastern European markets. The conference kicked off with a short networking session among the delegates who have bumped into each other while registering for the event at the luxurious Kempinski Corvinus. The organizers were delighted to see that the networking among the attending professionals started straight away and a positive feedback was received about the diversity of the companies which were present at the event. 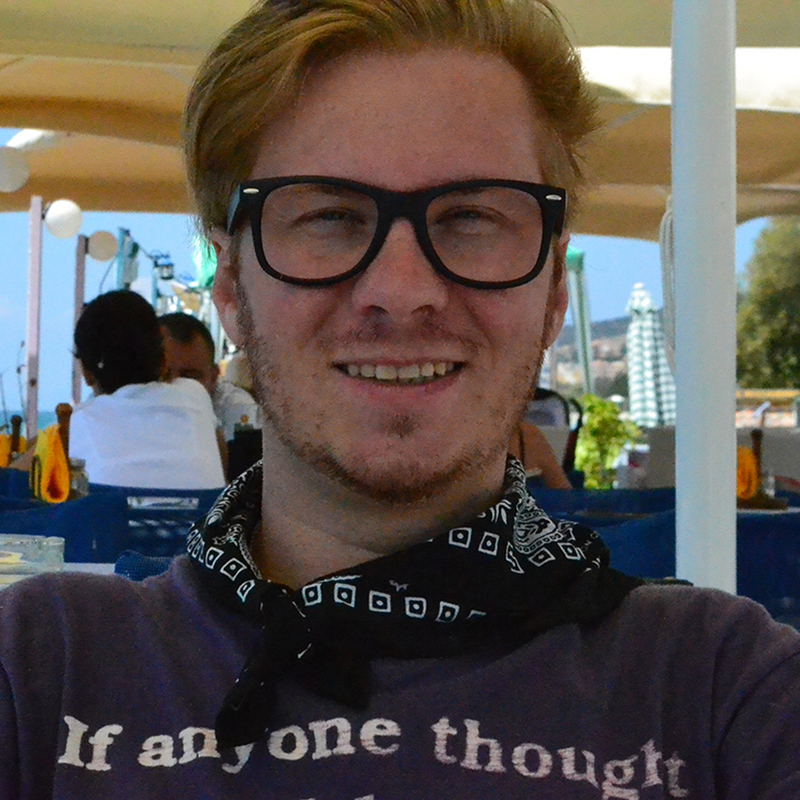 This is the direct result of the quest on which EEGEvents has embarked on when starting to organize their events. The mission is to build a strong community and a platform for the online and land based gambling industry, where every company can benefit of exposure and of course take advantage of the educational sessions. Mirjana Acimovic has highlighted the main facts about why the possibilities of Serbia to become an attractive gambling market are real and what is the main evolution factor. The main takeaways of the topic was that the traditional model of gambling is disappearing and the online business is growing. This is due to joint business options where investors can invest in online gambling companies which are already established in the region. Ms. Mirjana also addressed concerns about the fact that the state doesn’t have a well structured regulation and the laws are outdated and in some cases inapplicable. This is a clear call for a new and modern regulation framework. The 2nd program on the Agenda was the CEEG Awards Contest, where the assigned delegates of the shortlisted companies took advantage of the chance to give a short speech about their activity and of course asked for the votes. The presentations were limited to a short 2 minutes speech and it was among the highlight moments of the morning. The personal touch of the presenters created a magical moment for the audience as they were getting ready to start the first Networking Break of the day. The program continued with the Eastern European focused panel which was titled as “The growth of regulated markets in the Eastern European region“, which was specially designed to bring the key information about the current state of the gambling market in Romania, Slovakia, Czech Republic and Ukraine. The organziers have picked to extend to only the listed markets because these are the current hot topics of the industry in Eastern Europe. The panel was moderated Rita McClelland (Content Manager at GamblingCompliance) and the keynote speaker were Dan Iliovici (President of the Romanian National Gambling Office ONJN – the Romanian gambling regulator), Dr. Robert Skalina (Senior Advisor to WH Partners), Jan Rehola (PS Legal) and Iryna Sergienko (CEO at Ukrainian Gaming Industry Association). The panel was rated among the top 3 panels of the event as its content has focused on the highly debated changes of the Czech Republic’s regulatory system and the awaited changes is the law, Slovakia’s possible market regulation, the key points on which the Romanian gambling sector wants to improve and of course the state of the Ukrainian gambling market. Jan Rehola (PS Legal), has highlighted he’s main comments about the current regulation of the Czech Republic and he has encouraged the attending companies to show interest in the market as it will become one of the most competitive market in the region. Dan Iliovici (President of the Romanian National Gambling Office ONJN – the Romanian gambling regulator) has pointed out that major amendments are coming to the regulatory framework on the Romanian market and he plans to focus also on the responsible gambling program implementations in the land based sector. Dr. Robert Skalina (Senior Advisor to WH Partners) has stressed on the importance of paying attention of the Slovakian gambling market, a market which has recently been in the focus of many online newspapers that cover the industry. A possible new framework is to be announced soon. Iryna Sergienko (CEO at Ukrainian Gaming Industry Association) expressed an open invitation for all the industry to join the upcoming event in Ukraine, where all burning questions about the market will be discussed with the government officials. The Ukrainian market will be regulated in 2018 and it is important for the regulator and legislator to understand the demands of the industry in order to create a competitive market for all. After the “quality gambling industry update” (quoted from the event survey) the delegates got the chance to dive into the world of cryptocurrency, smart contract and blockchain. The program continued with a new episode of the Innovation Talks series which was titled as “Innovation Talks – The Cryptocurrency Effect” and was moderated by Joseph F. Borg (Senior Advisor to WH Partners and VICE-PRESIDENT of BitMalta). The delegates have rated the panel among the top 3 panels of the agenda and received a full scope around what Bitcoin or other cryptocurrencies mean for the industry and that this is only the start of the blockchain revolution. Keynote speakers of the panel were Jonathan Galea (Blockchain & cryptocurrencies lawyer, President of Bitmalta), Jarek-Górny (COO of SiGMA), Max Krupyshev (COO of Cubits), Dr. Andreas Glarner (Partner at MME Legal Tax Compliance). The expert have tackled the potential effect and benefits of the blockchain technology in the remote gaming industry and the future of ICOs. The program continued with the traditional EEGEvents style “Complimentary Lunch Break” where as usual, the delegates have taken the advantage to feast with a great variety of food options, including vegan and dietary. The lunch break gave way for more networking as delegates got the chance to continue where they’ve left off while enjoying a good meal. 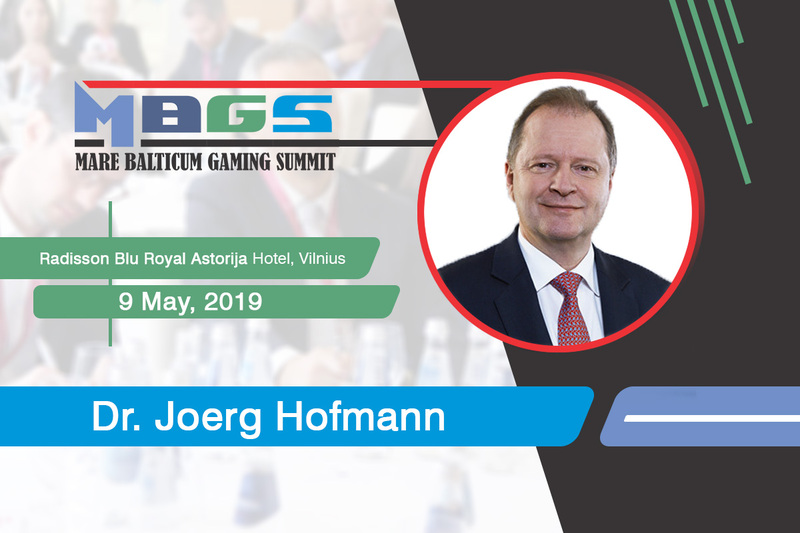 Soon after the delegates enjoyed a good meal, the program continued with the panel which focused on the Central European gambling market, particularly on Austria, Germany, Hungary and Slovenia. The panel which was titled as “Where is the Central European gambling industry heading?” highlighted the concerns of the market which are located in the region. Moderated by Mihnea Paul Popescu-Grisogono (Founder at Casino Life & Business Magazine) the discussions included the main stories which shape the industry in region. Keynote speakers of the panel were Gabor Helembai (Partner at Bird&Bird), Helmut Kafka (President at Automatenverband), Jaka Repansek (Founder at Republis) and Dr. Joerg Hofmann (Head of the Betting and Gaming Group of Melchers Law Firm). Opposite to the Eastern European panel, where some anticipations were discussed, the panel has shown the critical situation in which the industry currently is and all speakers have concluded that they are mostly facing the same political issues when it comes to a clear regulation. As the discussion unfolded and came to an end, delegates understood that there is a huge market which is waiting to be regulated accordingly and there is need for a better lobby. 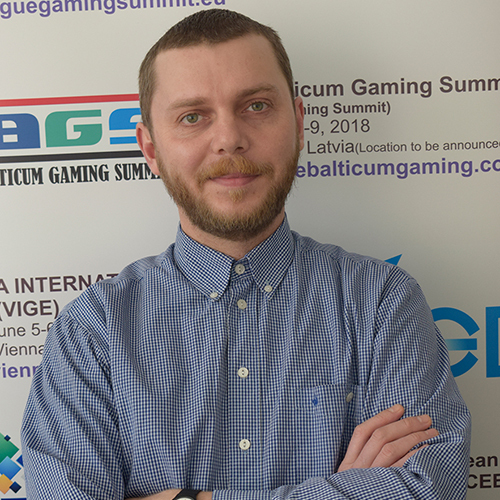 “Attending all events of EEGMedia so far, we are pleased to share that the 2nd edition of #CEEGC showed us a huge growth and steps ahead in the online gaming industry. All the three members of EGT Interactive compliance team, were grateful to participate in such dynamic and quality conference. The great speakers selection discussing the hot topics, future regulation updates and trends shaping the industry in 2017, and great organization on all levels, brought us essence update. These two days of attendance grabbed us every time when a new discussion / presentation was initiated. One of the most interesting parts was about the cryptocurrencies and blockchain technology. For me personally, the honor to present this year’s #CEEGC edition winners in the company of Mr. Dan Iliovici – President of the ONJN Romania was a huge compliment and real excitement! The panel was followed by the final networking break of the day and the second Innovation Talks panel. The panel was titled as “Innovation Talks – World Cup, Technology Innovation, Affiliates Turning Operators – what are the challenges ahead?” and it focused on the latest innovation suppliers and affiliates are bringing to the table. Moderated by Tal Itzhak Ron (Adv. and Notary at Tal, Drihem and Co. Law Firm) the discussion was very constructive and gave way for the keynote speaker to address concerns about the technology which is being delivered and about super-affiliates taking over the industry. Keynote speakers of the panel were Assaf Stieglitz (Founder and owner of odds1x2.com), Angelo Dalli (CEO of Bit8/Lotto Hero), Kostandina Zafirovska (CEO at BtoBet) and Amnon Goldrat (Founder, VP Business Development at FinTech Logic). As Mr. Dan Iliovici was the only regulator in the panel, the panelist have managed to ask the vital questions about the creation of a regulatory framework and what is the impact of politics in regards to the design. Mr. Dan Iliovici was clear to express he’s experience when it comes to drafting a law or adding amendments. He also mentioned that the creation of a competitive gambling market is the key concern of the regulator however the legislator is the one who will make this happen. Mr. Jaka Repansek has stressed on the fact that the creation of a regulatory framework should focus on the cycle where the industry addresses the regulator and the regulator than heads to the legislator. The creation of this cycle is important and is a key ingredient of having a well regulated market. The concerns of the affiliate industry were raised by Mr. Tal Itzhak Ron, who underlined the fact that applying for a second class license as an affiliate is only correct if the regulator is blacklisting non-compliant affiliates. Questions were also raised about the recent hot topics about the legal role of affiliates in media and advertising campaigns. All attending keynote speakers of the IMGL Masterclass agreed that technology is way ahead of the regulatory frameworks and it usually takes about 5 year for the regulator and legislator to catch up with them. Thus, all regulators should attend technology conference to learn about the new methods that are implemented by operators and suppliers to keep up with the demand. The first day concluded with a Networking Party sponsored by iGamingRadio which was held at 4Bro Downtown, one the hippest venues in Budapest at the moment. The delegates got the chance to unwind, enjoy a few drinks and network in much more relaxed manner. The second day of the event has been scheduled to start later because of the exhaustive networking session on which some of the delegates embarked after the Networking party. The program started with the 3rd Innovation Panel, which was rated among the top 3 panels of the event. We can certainly say that the Innovation Talks series has become a great platform where suppliers and operators can exchange information and even start collaborations to enhance the offer of the industry. The final panel of the event was titled as “Innovation Talks – Latest innovations in the field of gambling and hot topics that shape the industry in 2017 and 2018” and was moderated by Konrad Gill(Founder at ViARsys) who expressed that these series of panels are an important part of the innovation which we witness in the industry. The keynote speakers and presenters of the panel were Andrew Cochrane (CCO at SBTech), Thomas Willomitzer (Founder and CEO at Snapscreen.com), David Gasparyan (CTO at BetConstruct), Valery Bollier (CEO and Co-founder at OulalaGames) and Borislav Borisov (COO of UltraPlay). Contrary to other conferences, the speaker have discussed the hot topics of the industry and did not dive into sales pitches for the audience. Subjects such as Omnichannel, DFS, eSports and the options to customize your casino brand were discussed in a conversation that could have lasted for hours. We would like to add at least 1 Innovation Talks panel to all our events to continue this initiative. The final session of the event was the announcement of the CEEG Awards 2017 winners where the hosts were Ms. Julia Peeva (Gambling Compliance Officer / EGT Interactive) and Mr. Dan Iliovici (President of the Romanian National Gambling Office ONJN – the Romanian gambling regulator).